School and county leaders are planning to put the kibosh on private sports clubs’ use of portable lights on public fields. Staff from both the school system and the county’s Parks, Recreation and Community Services Department, which share use of the fields, said they don’t think the temporary lights that are wheeled out to the fields are safe. The lights are used by private clubs that rent the fields. 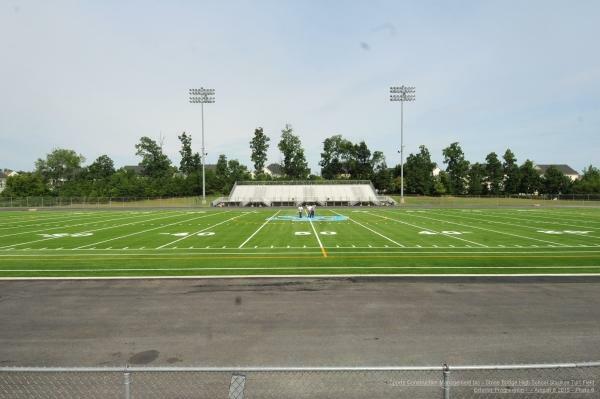 “They are not even close to having enough illumination to keep athletes’ safe,” said School Board member Jeff Morse (Dulles), who chairs the facilities and finance committee, which is recommending the lights not be allowed. He gave the example of youth playing in low light with a fast-traveling lacrosse. The School Board will have an item on its Jan. 9 consent agenda that directs board Chairman Eric Hornberger (Ashburn) to write a letter to the county stating that portable lights are prohibited on the fields. The Board of Supervisors is expected to adopt a similar motion to direct County Chairwoman Phyllis J. Randall (D-At Large) to write a similar letter. Morse said county staff members and supervisors are in agreement that the portable lights should be not allowed. The discussion on how to extend playing time on the fields comes in the middle of a debate between the supervisors and School Board members over how to fund artificial turf fields at the four remaining high schools that still have only natural grass fields. At the heart of the argument is disagreement over whether to continue installing fields with crumb rubber infill, which has some worried it can harm young athletes’ health, or whether to switch to an alternative material.